Movie Poster is now available! 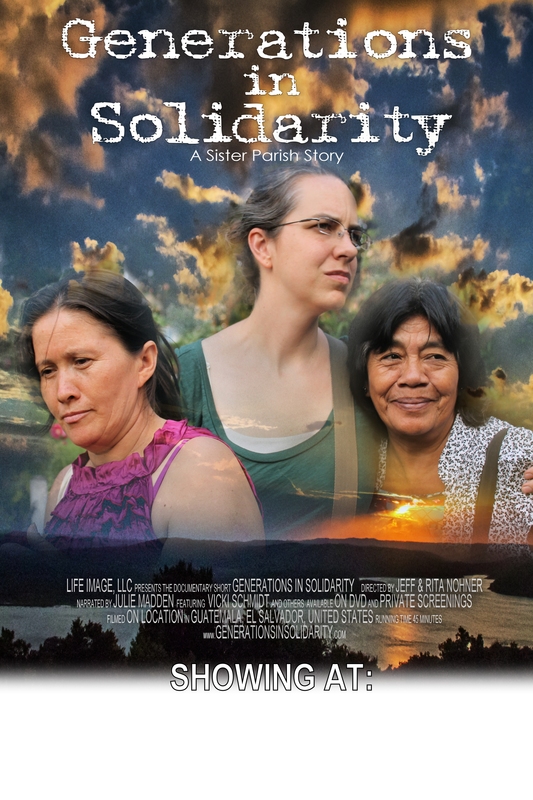 Contact us to have a free customized Movie Poster prepared for your screening of Generations in Solidarity. You can also RIGHT CLICK HERE (to 'Save Link As') and download the high-resolution digital image (JPEG 20x30 aspect ratio) and print or customize your own posters to promote your events. Thanks to a generous donor, DVDs are FREE to individuals and organizations wishing to view or screen the film (S&H fees apply). It is also available in HD on Blu-ray at a discount. During checkout, you'll have the option of making a tax-deductible donation (to Sister Parish, Inc. registered 501c3). Please contact us if you need large quantities or alternate formats (theater media file, digital download, etc.). 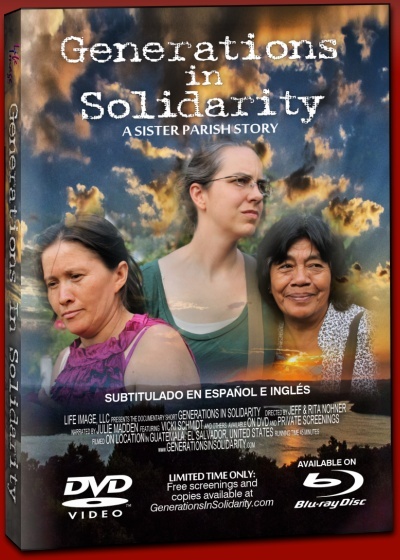 ​The DVD/Blu-ray includes the main film subtitled in both English and Spanish (subtítulos en Inglés y Español). In addition, there are menus to select additional comments from people who appeared in the film, and previously unreleased footage in the bonus scenes menu. Meet Brian, Julieta, Dina, Walter and Rina... take a ride on a 'Chicken Bus'... get a glimpse inside UPAVIM... hear selections from the Gold Fever Q&A panel. While we support free public and private screenings of the film, please keep in mind that those who appear are not actors or professionals... they are real people and many face potential repercussions for their opinions and comments (North and Central Americans). 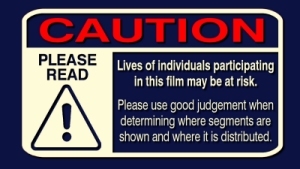 Please be respectful when considering how the film will be shown and who will see it. You do not need a PayPal account to order or donate... learn more here.